After stunning the WorldTour peloton with a win at Dwars door Vlaanderen, Mathieu van der Poel and his team say, "The surprise factor is gone." In his second-ever WorldTour race on Wednesday, the 24-year-old Dutchman won. 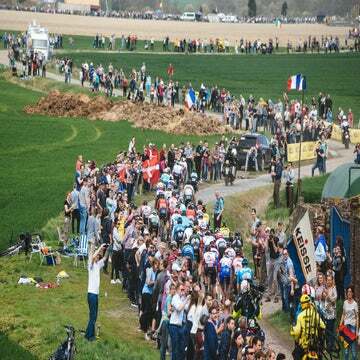 Just three days before the Tour of Flanders, everyone is talking about a van der Poel victory in Oudenaarde. “In a good day, for sure he can win, but it won’t happen probably,” team manager Christoph Roodhooft told VeloNews. “It’s a difficult race, it’s 250km. Van der Poel has dominated World Cup cyclocross, and he won his second world championship title this winter. His father Adri raced and won Liège-Bastogne-Liège, the Tour of Flanders, and stages in the Tour de France. His maternal grandfather, Raymond Poulidor famously finished second overall in the Tour de France three times. Everyone already knew about van der Poel, but the hype has ratcheted up. 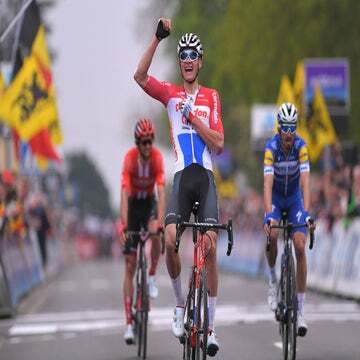 Van der Poel attacked and moved free with established stars like Bob Jungels (Deceuninck-Quick-Step) and Tiesj Benoot (Lotto-Soudal). He then beat them in the sprint. The result followed a fourth-place finish in his longest race ever — and his first WorldTour event — Gent-Wevelgem. His Professional Continental team is helping him debut in the spring cobbled classics this year. He showed he could race the distance, but inexperience may catch up with him in his first monument race on Sunday. He has never raced the Tour of Flanders with its Oude Kwaremont and Paterberg final. He has only raced the Koppenberg climb in his cyclocross campaigns over the past winters. Also, Flanders ends with a much punchier finale than Gent-Wevelgem or Dwars door Vlaanderen, which could allow the experienced stars like Peter Sagan (Bora-Hansgrohe) to have their say. “Gent-Wevelgem and Flanders are completely different. I would not say I am a big favorite, but just underneath them. But I hope so,” said van der Poel. “In Wevelgem it was still 30 kilometers to the finish line [after the last climb]. 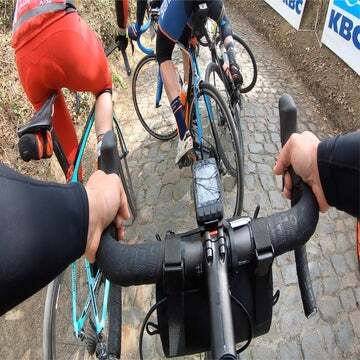 In Flanders, Oude Kwaremont and Paterberg are just 20 kilometers to the finish. The group that has gone there, most of the time, stays gone.